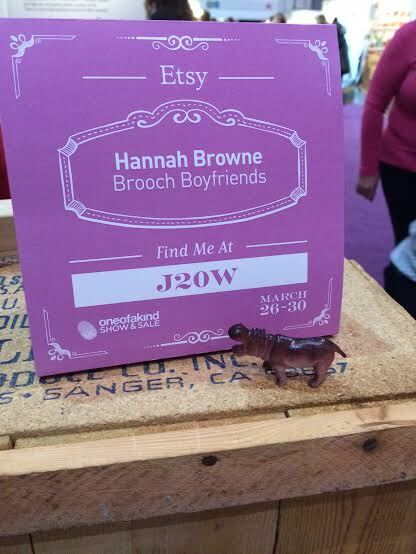 I had a wonderful time at the Spring One of a Kind Show this year. 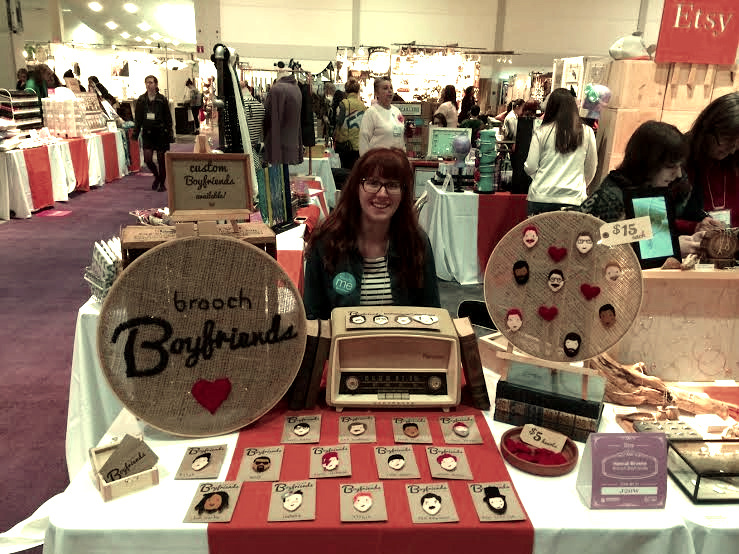 I introduced a few new boyfriends (one of which sold out completely… Benedict Cumberbatch), I designed an entire display, and met some amazing new artisans who I will cherish as friends from here forward. Got interviewed by Jennifer Valentyne for Breakfast Television the first morning of the show! Click picture to view. 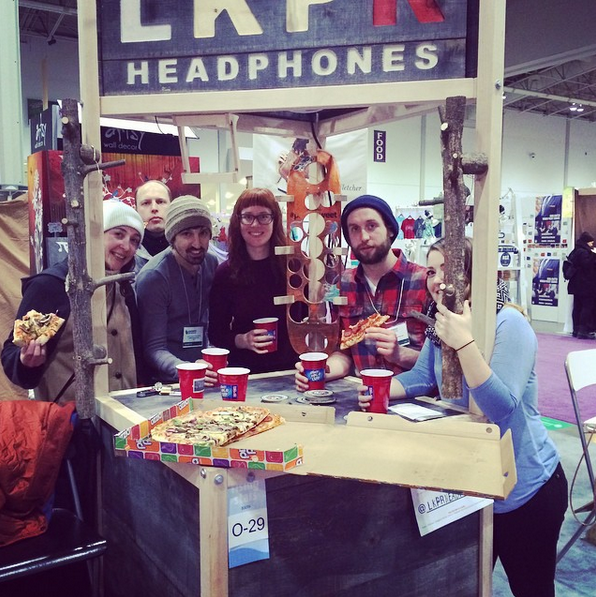 My beautiful booth won best booth design for the Rising Stars section! So proud. Thanks OOAK folks! See you at Christmas, OOAK! 2014 is officially complete, and it was a wonderful year for Brooch Boyfriends. 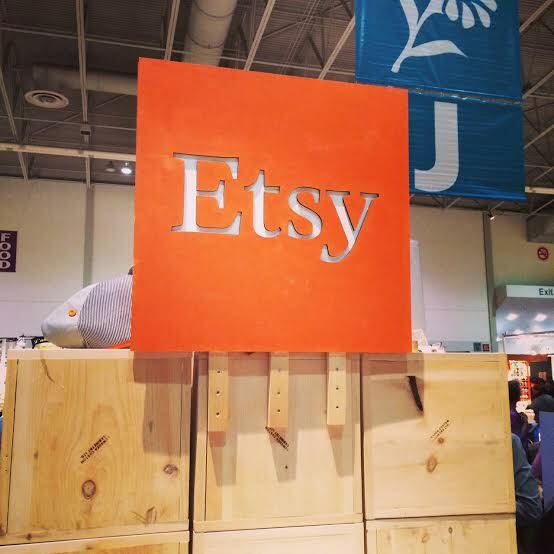 A first time at the One of a Kind show, a very successful Etsy Made in Canada day, and much good press to go along with it all. It’s 2015! 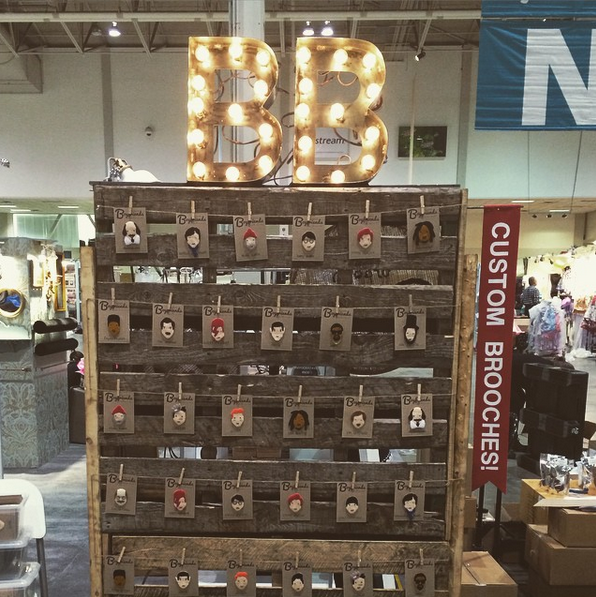 A new year, a new start, and some exciting things to look forward to here at BB HQ. 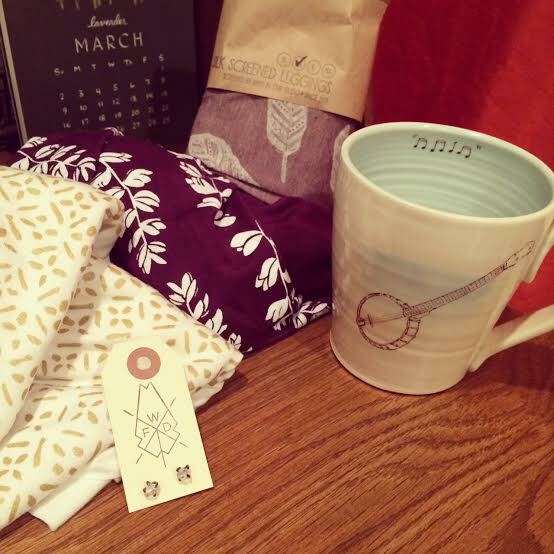 We were just featured in Karine Ewart’s Valentine’s Day gift guide on the Chatelaine edition of Cityline, we are gearing up for the One of a Kind Spring 2015 show March 25th to 29th at the Direct Energy Centre, and next week our little guys will be stocked at lovely Roncesvalles gift shop Scout. What a wonderful year it’s shaping up to be, and we can’t wait for what lies ahead! Tracy Moore, host of Cityline, receiving her custom brooches! Boyfriends in the Globe & Mail! I was interviewed for the Globe & Mail Small Business Section!! No amount of bolding and exclamation marks can show how excited and grateful I am. Thank you to the lovely Shelby Walsh for somehow finding me, and to my great friend Sarah for taking some lovely photos of me and my workspace. Shelby contacted me a few weeks ago and I am so happy it is finally up for the world to see! 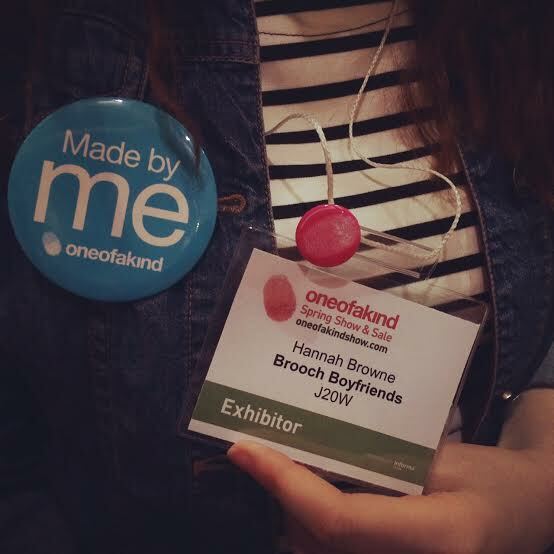 Hannah Browne has helped many clients celebrate loved ones and get over the heartbreak. 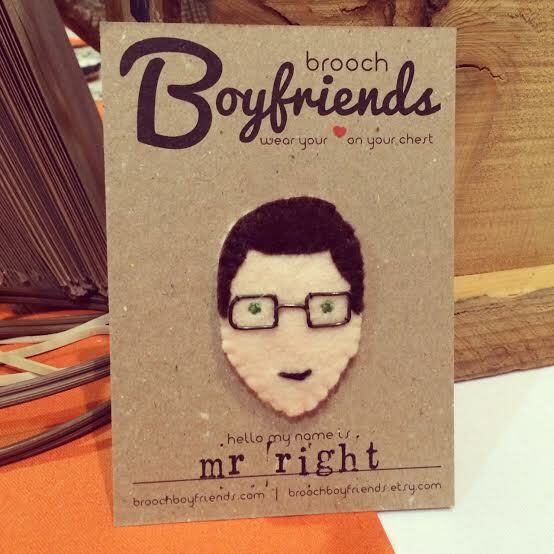 Her personality-packed felt pins, portraying ‘celebrities’ like The Fresh Prince, Ron Burgundy and even ‘custom’ boyfriends, encourage people to wear their hearts on their chests. 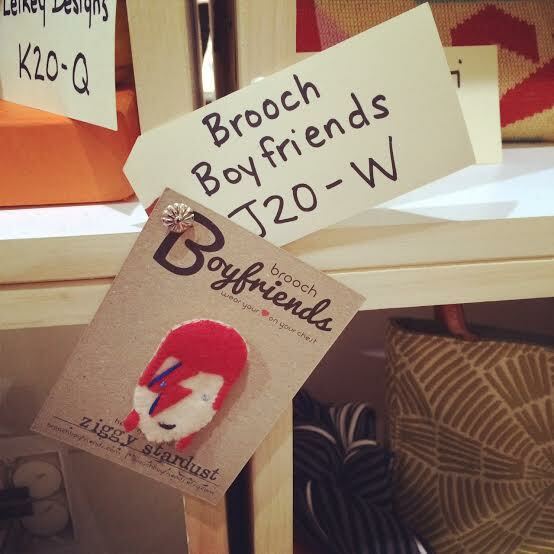 Whether it’s a long-time lover, someone on Tinder, or a famous crush, she’ll handcraft a brooch to make ladies (and fellas!) feel like they’re on Cloud 9. Her pins retail from $15 to $40. So apparently yesterday was National Boyfriend Day. Who knew? …maybe I should have? Regardless, I received a lovely message from Suzy, the woman who runs Daily Holiday Blog, to tell me she has featured my Trendy Moustache Boyfriend on her ‘Boyfriends Day’ post. How neat! Check it out here.